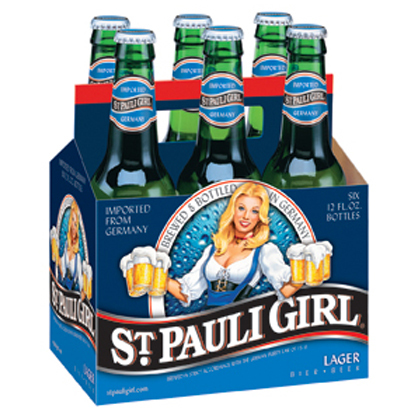 St. Pauli Girl Lager is a gold medal-winning brew with a hoppy aroma, golden color, smooth taste and clean finish. It’s brewed from the finest spring barley, ice-age glacier water, hops from the famous “Hallertau Hop Gardens” and a special variety of yeast. The full-bodied taste of St. Pauli Girl is the perfect complement to grilled foods, particularly poultry or pork. Visit the St. Pauli Girl website.